The Behn’s damsel has two very different forms: long, yellow-tailed and yellow rear fins and black front body with a dark black bar on the gill cover as adults occur. 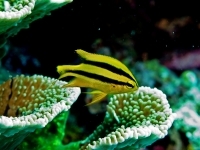 The second form is yellow, with 2 distinct black stripes and pointy fins, as juveniles occur. They have been suggested as being 2 different species, but the appearance changes over time. Has not yet been assessed by the IUCN Red List. 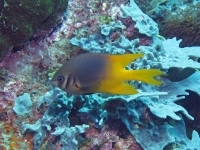 The Behn’s damsel is found from the Indo-West Pacific region: Andaman Sea (Phuket), Malayan Archipelago, Indonesia, Philippines, Taiwan, Ryukyu Islands, Palau, New Guinea, Solomon Islands, Vanuatu, and northern Australia. 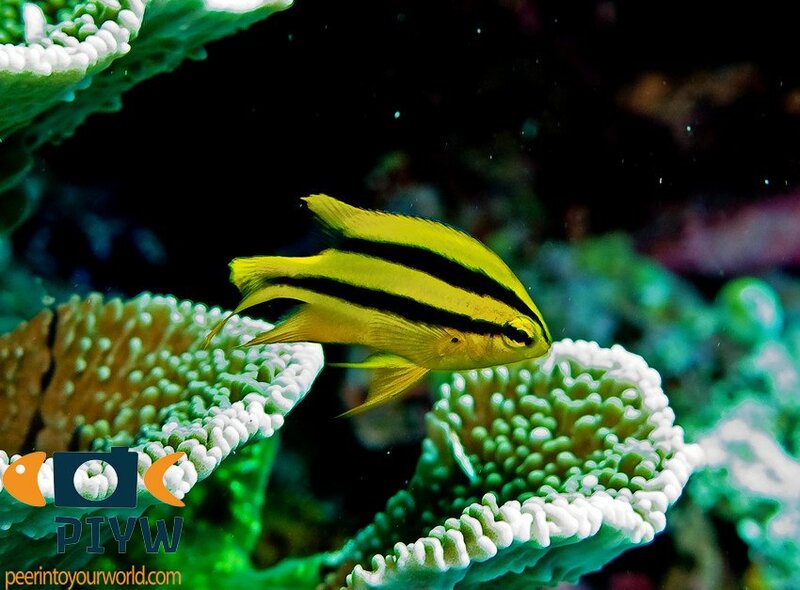 Occurs in coral-rich areas of lagoon and seaward reefs at a depth range between 2 and 23 meter. Usually solitary. Distinct pairing during breeding. The eggs are aerated and guarded by the male and stick to the substrate. Max. length is 13.0 cm. They feed on algae, crustaceans, and pelagic tunicates and salps. 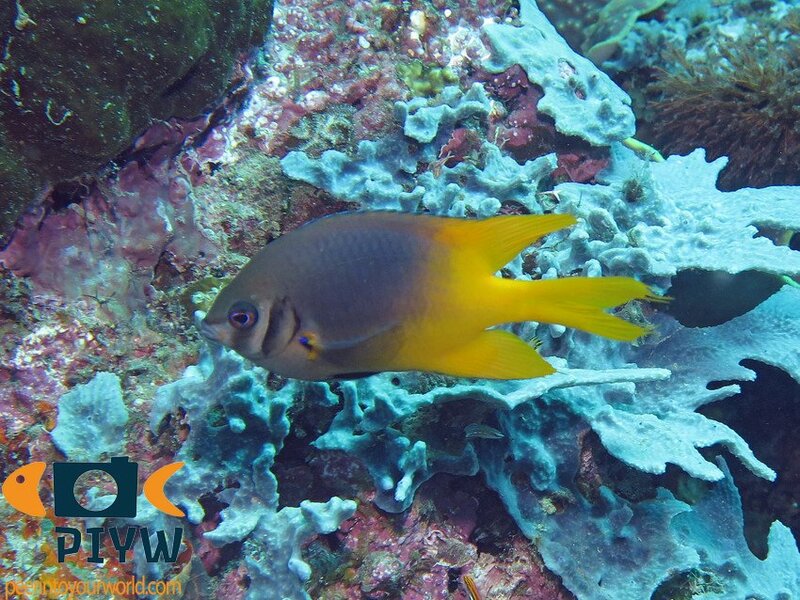 The species is referred to by a lot of common names, such as Black-and-gold chromis (referring to its juvenile state) or the blackmouth bicolor chromis.